Today Rocku have unveiled their new Roku Streaming Stick, which has been created to shrink the Roku Box into a tiny handy Flash Drive sized dongle. The Roku Streaming Stick includes everything you need including Wi-Fi, processor, and memory. Enabling you to watch over 400 channels, including Netflix, Amazon Instant, Pandora, MLB.TV, HBO Go, MOG, and Rdio, from the Roku network, direct from your HDTV. Without the need for a separate remote control. The beauty of the relatively cheap Roku Streaming Stick is that is can be updated or replaced fairly easily providing you with the latest technology without you needing to upgrade your HDTV. 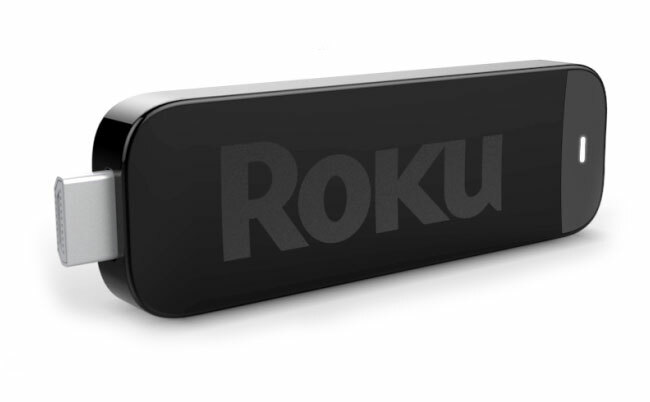 The Roku Streaming Stick will work on any HDTV equipped with a MHL port and is expected to arrive in the Autumn. Unfortunately no information on pricing or worldwide availability has been released as yet, but its thought the device will retail for around $50-$100.